Evelien writes a blog for Weekends in Rotterdam every other month about her life in Rotterdam. She shares tips for working mums, such as great hotspots, events and more! This time she visited the newly opened SLA in Rotterdam for her new article. 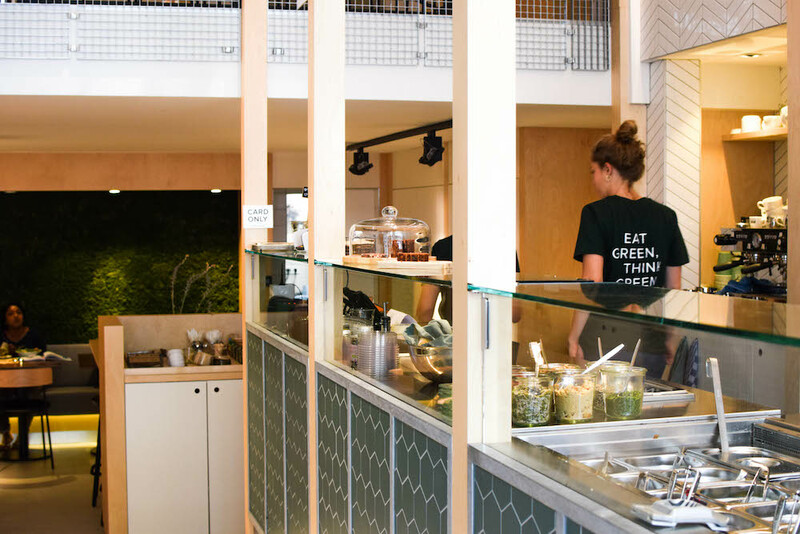 SLA is an organic salad bar where you can get seasonal salads, juices and soups. A lot of green, so super healthy. And tasty! Evelien shares her experience below. 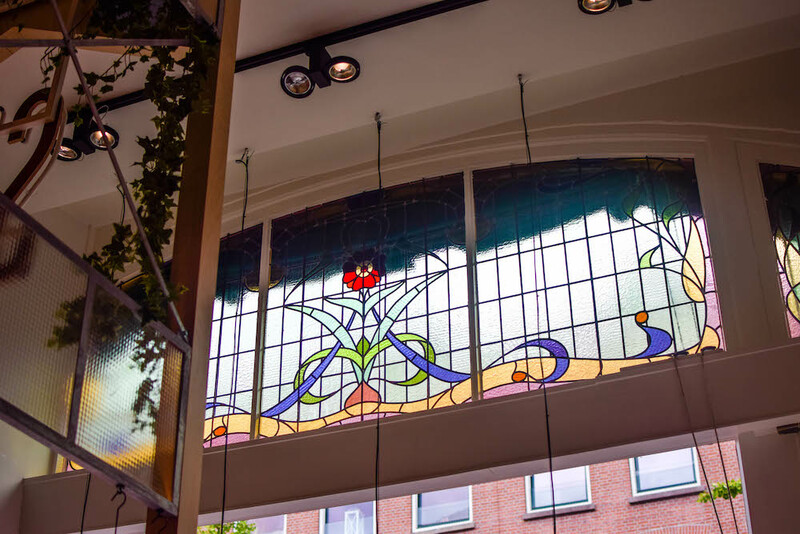 Since recently SLA has opened in the beautiful building on the Oude Binnenweg. 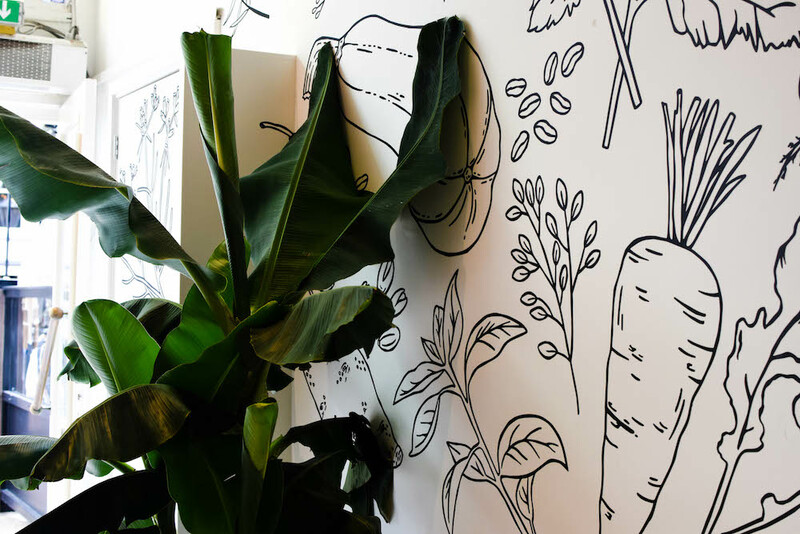 The historic building is decorated in a lovely, trendy way with a cool green (broccoli?) wall downstairs. Because it is an old building, SLA unfortunately isn’t wheelchair accessible. Luckily, they have a nice terrace outside where you can also sit. What can you get at SLA? 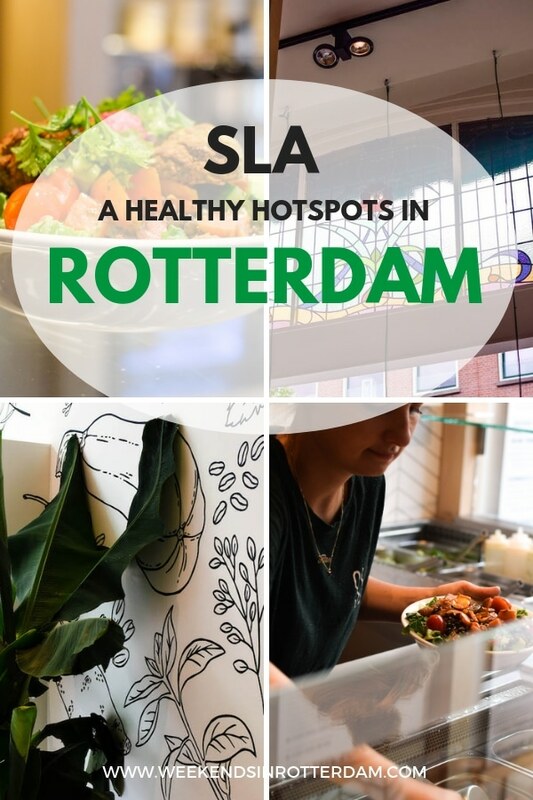 The name says it all; SLA in Dutch means salad. But what kind of salad! The most delicious combinations of ingredients topped (in moderation of course) with the tastiest dressings can be ordered here. 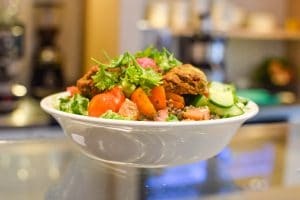 You can choose from already prepared salads from the menu or create a salad yourself. Lisanne and I were lazy and both chose one of the menu. 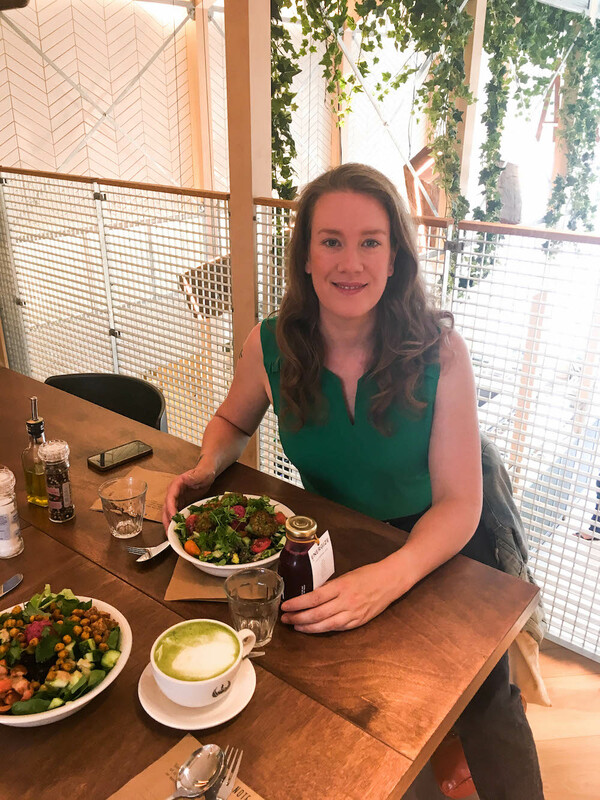 I chose the salad with leaf spinach, broccoli and parmesan cheese burgers with a tasty, healthy juice and Lisanne went for the green protein bowl with a soy matcha latte. Especially the burgers were delicious, they really gave the salad a bite. Even if you want to order something unhealthy at SLA, this isn’t possible at all, not even with the sweets they serve. But that definitely doesn’t mean it doesn’t taste as good; on the contrary! Delicious pure flavors! 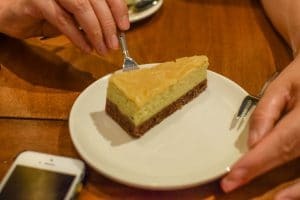 Raw choco chia cake or raw cheesecake, yum… We went for the raw lemon & lime cake. We had to share one, because we were very full of the salads! … And soups at SLA! In addition to salads you can also choose a soup or bread with hummus, we were already completely full of SLA, drinks and sweets. Next time I’ll certainly try soup with bread. Although you can visit SLA until 9 pm, I would personally go for lunch moments. But if you want to eat healthy and do not want to cook yourself, this is of course also a perfect option for dinner. You can also order online and wouldn’t even have to leave your house. 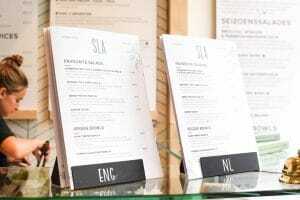 Click here for the full menu at SLA!